For many years Christians have had a difficult time to keep up with the competition in the mobile app world of Android and Apple devices, but now RD Games have finally broke through that glass ceiling and published a unique and addictive game that’s based on the Bible. We present you Play The Bible! 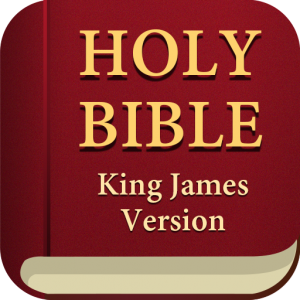 It is one of the many free Bible apps for Android tablet as well as other Android and iOS devices available on app stores. 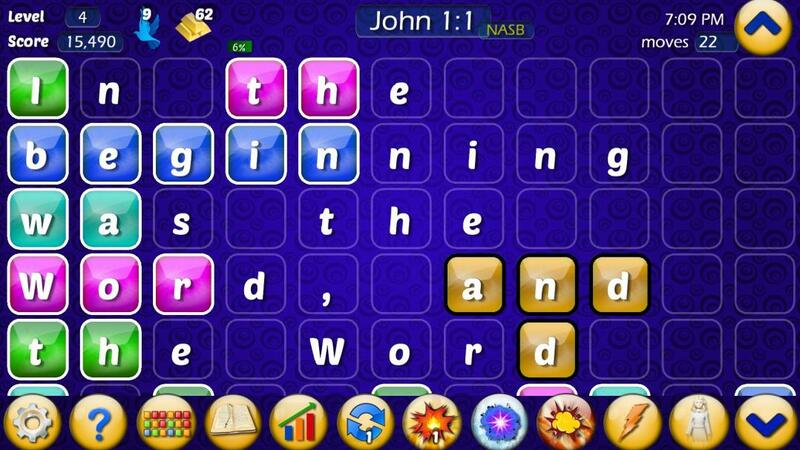 The game is a combination of colored tiles matching and word puzzle game that challenges you to solve the words in the background, which are Bible verses revealed. It’s an interesting game that has many features. How did the Beta Version Fair? The beta version for Play The Bible came out just a few months ago, so it’s pretty fresh and so far we got very good feedback from the beta testers also. 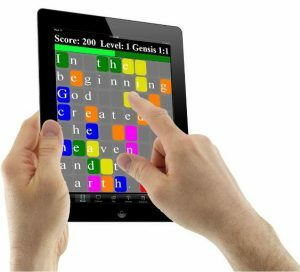 It’s more than just those puzzle games free online and is a better game than current Scripture-based games of the same genre’ on the app stores. As a matter of fact, even if you don’t care about the Bible or God or Jesus, you would still enjoy playing the game, because plain and simple it’s a modest mobile game app that’s a notch up from the traditional games you’ve played before. It didn’t took us long enough to publish the full version of the game and a month later we’re getting a significant amount of downloads and a couple of reviews. It takes a divine calling for one to find the Bible interesting to read and you can’t exactly market it raw to the new generation of gamers, so when we prayed God granted us the wisdom on how to best disseminate the Gospel online and on app stores. With the current trend on game apps these days making free Bible apps for Android tablet and for other handheld gadgets just won’t cut it. 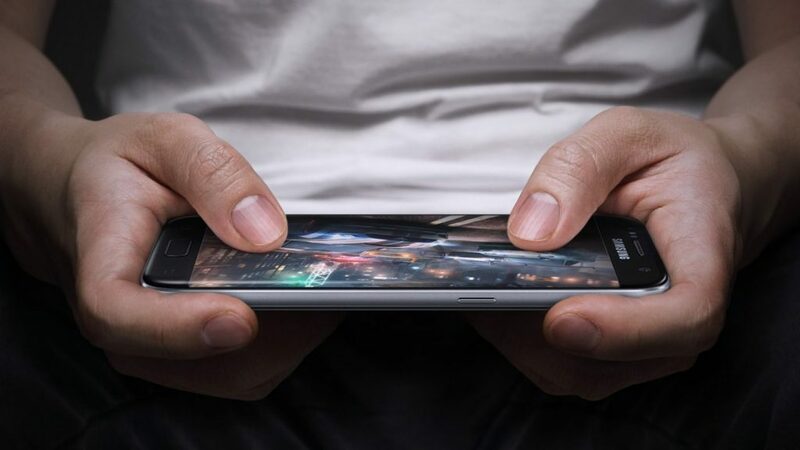 You need to compete on their terms, because you’re fighting on their turf, so for game app enthusiasts we provided the best Bible games for adults online. But Play The Bible is not just for adults, in fact, we’ve designed it to cater to kids and teens, but of course, adults find it very entertaining also. After a few months of its release the game has now been widely accepted and appreciated by Christians and non-Christians alike. The reason behind that is because we’ve made the Bible fun to learn, or in case you’re not big on the Bible, then at least you’re big on fun, right? That’s the beauty of this game app it has the best of both worlds. Play The Bible is not just for entertainment purposes as its potential for evangelism is quite promising and Christians all over the world can use it as a subtle way to share the Gospel of Jesus Christ our Savior. Churches have come up with ingenious ways on how to share the Gospel of salvation and through the years they’ve been modestly successful in doing it. They have almost every clever technique for different peoples, beliefs, places and other factors that are either directly or indirectly become an eventual obstacle to their mission. Play The Bible is our way to effectively infiltrate the mobile app world and spread the truth about Christ and lead souls to Jesus through free Bible apps for Android tablet. Since the internet has become an integral part of our life, then Christians ought to learn how to navigate in it and use our game app to help save souls too! It would be a whole new kind of experience when you realize that this is the very first time that you’ll be using modern technology to share the Gospel through Bible quiz questions and answers on Android and iOS app stores. Evangelism will never be the same again. Play The Bible has two playing modes where you can play in single player mode (online or offline) and multiplayer online mode where you can play coop or compete against each other. Both modes will allow you to gain points and gold coins as well as encounter dozens of bonus rounds as you go through the game levels and get even more points and gold coins. Now you’re going to want to play in multiplayer mode, because it’s more fun to play in coop or competitive styles. When free Bible apps for Android tablet and other gadgets are not enough, there’s Play The Bible! You could be playing with your nearby friends or other players from all over the world! You may even get to chat and know them through the game and become friends in the future. Isn’t that great? You’ll play the game, have lots of fun, discover the Bible, share the Gospel and add new friends in your network! Of course, our game app which is suited for both Android and iOS devices is free to download; however, it is not like any other free Bible apps for Android tablet and other handheld devices, because it gives the players more than just entertainment. It gives them access to the Word of God in a subtle manner and slowly saturates it in their hearts and minds, then the Christian believer can come in later and guide them to the enlightening scriptures which will ultimately lead them to the knowledge of the saving grace of Jesus Christ. 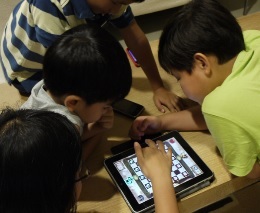 They can play interactive Bible games for youth on this game app endlessly, entertain themselves and be inspired as they move through each level. And while we will do our best to plant the seeds of the word of God on the player’s hearts, it is the Holy Spirit that will soften their hearts in order to accept Jesus and be born again. 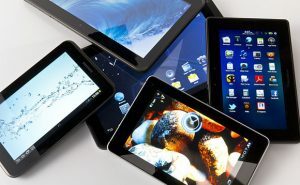 It’s incredible to think that people these days could be saved through our free Bible apps for Android tablet and other mobile devices, but it’s a real possibility and someone may have already been saved while we’re writing this article. Of course, you can download free games and apps for Android tablet that are also Scripture-based on Google Play Store. There are thousands of Christian apps on app stores nowadays. People have lots of different habits based on their preference and some of them love to do outdoors, sports, ballet, modern dance, singing, poetry, business, etc. 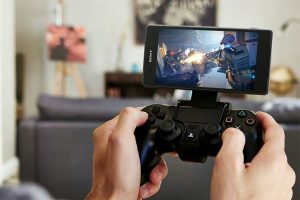 But in general people spend half of their time on their phones and other handheld devices and about 7% – 25% of that time is dedicated to mobile gaming. If you’re going to choose a game that’s both entertaining and enlightening, then we recommend you try our new mobile game app, Play The Bible. The Play The Bible Ultimate Verses (the full title of the app) is now available both on Google Play and the iOS App Store. We human beings have tolerance level which means that we can only tolerate things happening in our lives for a certain periods of time. Even the most rewarding jobs or most profitable businesses or most amazing relationships will have ups and downs through the course of their existence, and when people who are involved in them snaps, then there would be chaos. In the small things it shows in our boredom – the state of mind where a person can no longer tolerate his mediocre lifestyle, so he attempts to entertain himself through various vanities of this world that satisfies his basic desires. Often they become misguided souls who hurt others either knowingly or unknowingly, but this destructive nature in man can be tamed through free download Christian mobile apps like Play The Bible. Or especially Play The Bible as it is unique. Play The Bible Ultimate Verses is a Substantial Solution? We’re not saying that this game is the best solution to boredom, but it might offer you a longterm solution to the problem. Why? Well, because this game, although similar to the long list of Christian apps on the App Store and Google Play can really entertain you through its puzzle and tile matching challenges. But once it has saturated its alluring glare, then it will bring you face to face with the truth – that you are slave to your sins and you need a savior to free you from your prison. Play The Bible Ultimate Verses is more than just a mobile app – it is an excellent tool for evangelism too! It may take a while before you notice the Bible verses in the background as you’ll be busy matching those colored tiles and answering quizzes that are actually just scriptures in either a multiple choice quiz or a fill in the blanks test. Sometimes you get bored not because of your tolerance level, but because of the lack of motivation in what you want for your life and the lack of vision to get to where you want to go next. 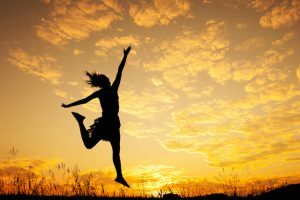 People get motivated by many things like money, food, rewards, travel, being accepted in society, fame and many more! But there’s only one motivating factor that will get you going every day and will get you through no matter what – a personal relationship with Jesus. You would never guess that in these free online Bible games like Play The Bible Ultimate Verses, for instance, lies that kind of motivation that you need in your life. So try it now and find out just how wonderful it is to be enlightened by God’s Holy Spirit! There are lots of useful Bible games on app stores like for instance, Play The Bible Ultimate Verses which has already gained a significant amount of fans who patronize the game. 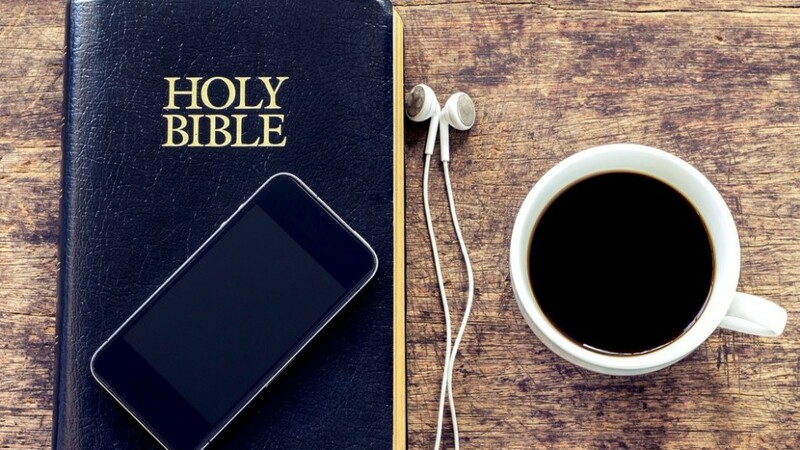 It’s not old news as the first Christian-themed apps that appeared include the Bible in digital format, inspirational exhortations and Bible-based games. Play The Bible is a more improved version of Bible study games for youth and is expected to become the most prolific mobile game app to have ever been created that breaks the barriers between the Christian and secular worlds. Of course, there’s room for improvement but it will be developed as the years go by through the experience gathered from user reviews. While we do not actively work with other Christian mobile app developers we do hope that they will take inspiration from our product, Play The Bible, and create an intuitive mobile apps like it in order to help accomplish Jesus’ Great Commission. Christians should take mobile web seriously as there are hundreds of millions of users visit there on a daily basis and offering free download Christian mobile apps is just like doing evangelism in cyberspace. Those are a lot of souls to be saved and the potential contribution that they could bring to the Christian cause might be very significant. So let us do more to saturate the mobile web with helpful and inspiring Bible games like the Play The Bible Ultimate Verses from RD Games. The problem that is common among Christian believers is that they seem to have unique doctrines for each denomination you will find across US churches and other churches in the world. Unfortunately, most of these doctrines are man-made misplaced translations of the Scriptures and so they miss out on the more important things. We here at RD Games believe that we should stick to only what Jesus commanded like the Great Commission, loving God and loving your neighbor as yourself and a few other things that He told us to do. 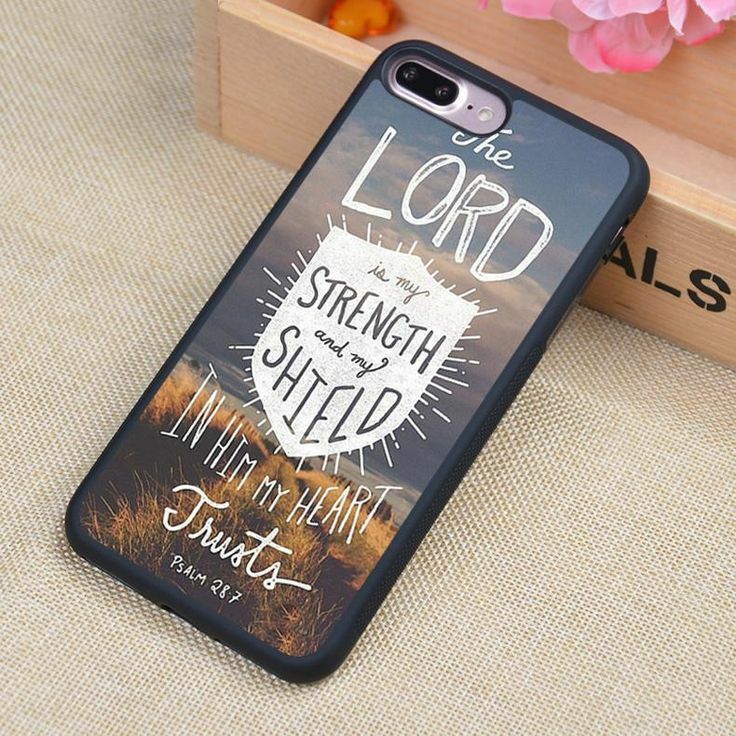 Things like what we ought to wear or eternal salvation should not be central to our faith, because it is ideas like these that make Christians judge the motives of their brethren like with what we do here with creating the Play The Bible Ultimate Verses mobile game app. It is unfortunate that we get judge for doing a revolutionary approach in evangelism and people just say that we only do it for the money. If we think as a whole as one body, the Church of Christ, his bride, then we will have a clear vision of helping people to get to know Jesus and be saved. We should all be rejoicing with Play The Bible, because of what it can do and is already doing – bringing people closer to God. 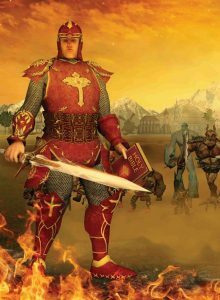 Although lightly disguised as one of the many free online Bible games, it is a very effective evangelizing tool and Christians could use it for that exact purpose. That is how we benefit from this amazing mobile app. You can download Play The Bible Ultimate Verses on the iOS App Store and Google Play Store now. Welcome to Play The Bible! 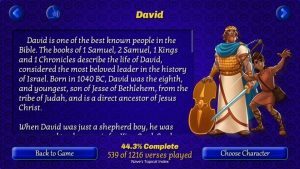 Your ultimate source of Bible-themed games that you can download on your Android or Apple devices. 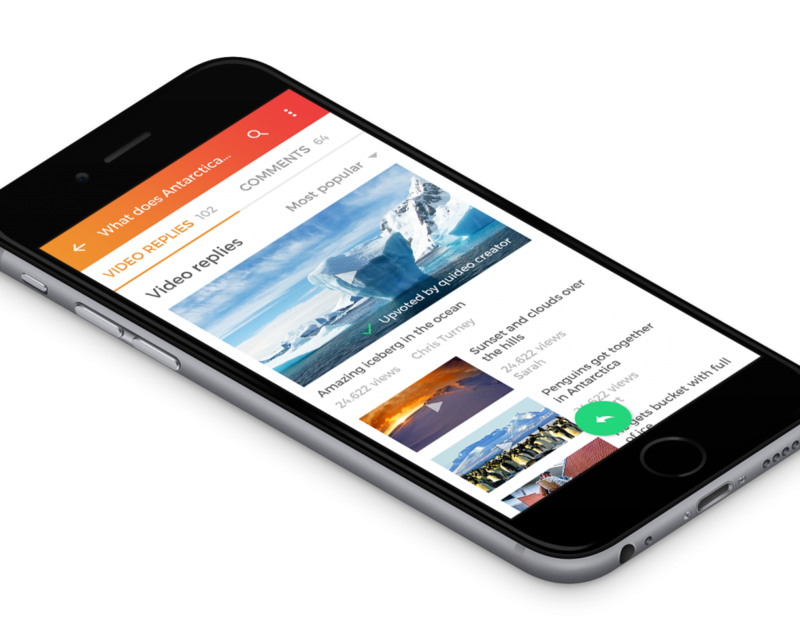 For decades people who use the mobile web have been inundated by so much negativity. 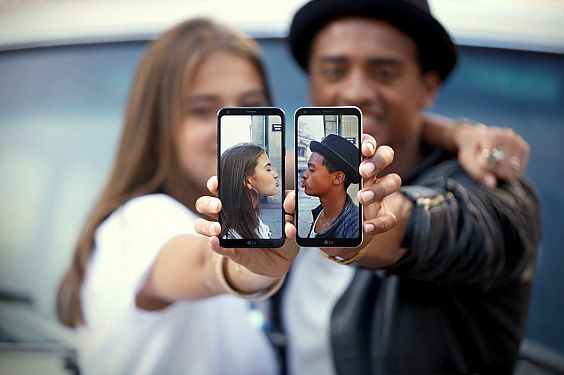 From the mild to the extreme you can be sure that they’ll put you off of your mood before the sun goes down and most of it comes in the form of news articles, videos, images, advertisements, music videos, podcasts and mobile apps. It is estimated that the total number of mobile app downloads in 2017 is around 197 billion according to Statista, and almost half of this are game apps. RD Games, the developer of Play The Bible, decided to turn the tide and bring people closer to God just like it was in the old days. Most of the content on the mainstream internet and mobile web are spiritually non-aligned to any known faith or religion, especially those game apps. If some religious elements have been included in the game app, it isn’t placed there for the purpose of disseminating religious information, but rather is only being used for entertainment purposes. So even if you see a Christian or Buddhist character in the game he/she is merely there to play a certain role for the game to be as entertaining as possible. The game developer had no intention of accentuating any religion or faith that the character is associated with. 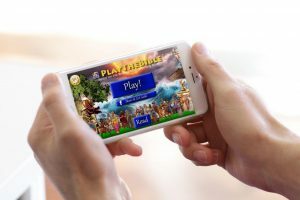 Play The Bible is the exact opposite of that, because it was developed for the purpose of learning God’s word – the Bible – yet still be as entertaining as most game apps that you can find in Google’s Playstore or Apple’s App Store. People are caught up with so many things today that it seems to take up all of their time. 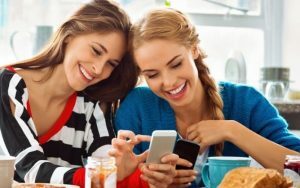 Netflix and other online tv streaming service, smartphones, tablets and other computer devices, social media and other online communities as well as tons of game apps that keeps them preoccupied every waking moment. Hardly anyone ever has time for self-reflection let alone time to seek answers to their deep longings for God or a savior. Sometimes they question, is God still relevant today? Does he really care about what happens to humans on Earth? It may sound surprising, but the mere fact that people are asking these kinds of questions makes God and his Gospel relevant! Otherwise no one would care. We need to connect with the divine, because we were created by Him and severing that connection is just basically destroying ourselves. 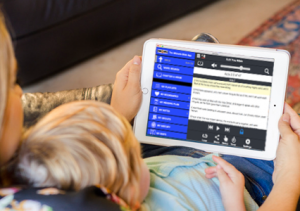 The Bible trivia for kids in this app, albeit unconventional, will help people reconnect with God and find their spiritual alignment once again. The Play The Bible app is actually just one game with multiple features as you play along. You will need a good internet connection in order to play it and a valid email address to come along with it also. However, you can also create an account by using your Facebook or LinkedIn profile and the game itself will automatically get your personal information such as name, nickname, profile picture and other things. There are lots of free online Bible games to play with and you can play on a single player mode, join a multiplayer session or create your own multiplayer session and invite or wait for other players to join your game. The game also has endless in-game cinematics, animated narrations, side games like Bible verse quizzes, in-app purchases, identifying Bible characters from a few given hints, multiple choice questions, and other interesting things. The main game is the tile game where you are required to match the tile colors to each word from a certain Bible passage. Your moves are limited so you have to move the tiles efficiently and match the correct tiles to their corresponding colors for each word on the table. Failure to comply will result in the depletion of moves and you will then be forced to purchase moves either via gold points or real money via a PayPal payment or credit card. Fortunately you will be given 30 gold points upon registration, but you may want to save this as purchasing moves are quite expensive. Play The Bible has lots of amazing benefits for Christians and non-Christians alike. For the believers it’s a great tool to use for evangelism, make new friends, break the ice when it’s boring and you can’t find anything else to do to brighten your day up, and many other fun things. For those who are not familiar with the Bible or Christianity, this game app is a great alternative for all those high-octane action-packed games that you’re used, or if you just want to pass up the time while waiting for some friends to arrive. 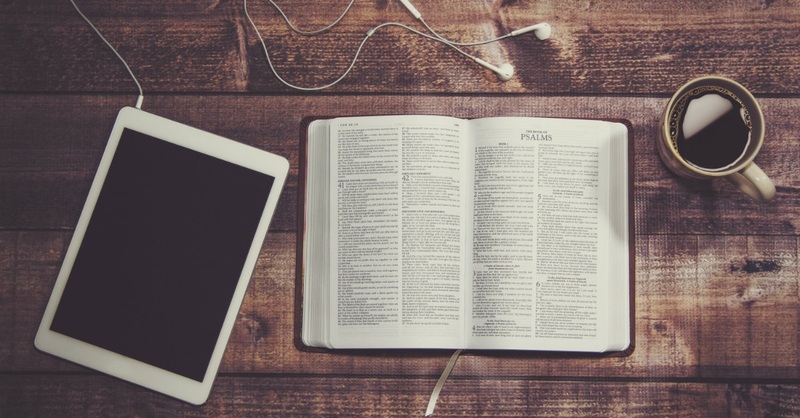 It is also a good tool for learning, as you will find that a lot of the events of the Bible are deeply connected with important aspects of history. Whether you’re passionate about telling your friends about the wonderful story of the Lord Jesus Christ or you just want to have some fun, Play The Bible is the perfect smartphone game app for you! 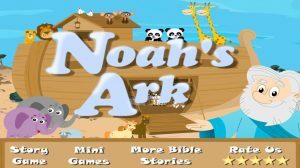 You’ll really enjoy it as its developer guarantees it is one of the best Bible trivia for kids that you can find on any app store today. While there are a lot of game apps that compete for market share in the mobile web, most of these apps are created like zombies with only one goal in mind – food – and that food is the user’s attention. More downloads means more income! 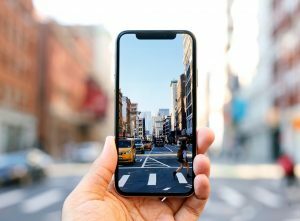 One could argue that money and business are the biggest things that drive our modern society, but one could also wonder what value, if there’s any, these apps have to the people, or personally to you. If the games that you’re playing have none whatsoever, then why waste your precious time playing them? Isn’t it just the same with procrastination? Play The Bible has some spiritual value that you won’t find in any other app on any app store out there. So play it now, have fun and learn the value it has for your life. I’m Troy, one of many team members working for RD Games. Prior to Play The Bible, I was fortunate to work on and distribute numerous faith-based games for the PC which also included Bible verses. One was a match-three game, another was a word game, another a karaoke game, even a scripture chess game. We also did other interactive Bible games for youth that became popular among Christian circles. The most well-known was based upon a popular Christian novel series. With mobile games being fairly new in the world, less than a decade, I thought it was time to create a faith-based mobile game for Android and iOS devices that have more than just graphics, but also something unique – Bible verses. 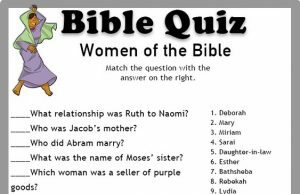 My concern was that I didn’t just want to create another game with lots of Bible trivia quiz for kids that’s also filled with entertainment that would link to life-changing content. So, rather than try and out-do the supernatural impacting words of the Bible, I thought, how can we create a game that “is” the Bible? As I thought on it for many days, it got to the point where the concept of making a game that featured the “actual text” of the Bible, without changing the static-text itself, seemed completely ridiculous. Think about it. The text must be in the face of every player, without changing, so the life-changing impact of each Bible verse would not be modified in any way – seems like an impossible task, doesn’t it? Creating this interactive Bible games for youth seemed like a daunting task, but with the Spirit of the Lord guiding us we were able to put the pieces together efficiently. Many ideas came to mind that were interesting to consider, but in the end, they were ineffective as a fun, healthy and addicting experience for gamers. And then, after several days of prayer, I feel the Lord answered. I remember exactly where I was when the primary game elements came to mind – concepts that would be fun and interesting. 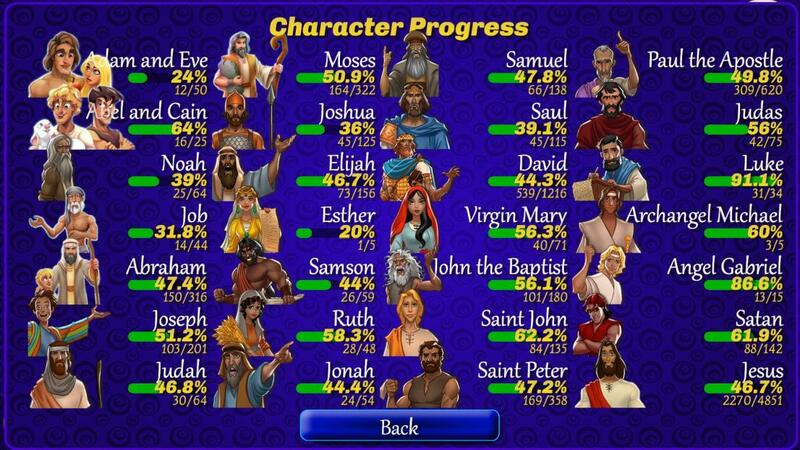 And within a month, a prototype Bible verses game was up-and-running. 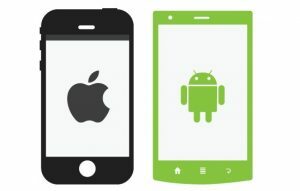 For many months, I sought to find game developers to help, because it had been many years since I’d developed a game from scratch – and I had never before developed anything for the modern mobile platforms. Even for games like word link games free online, similar to our game, the design process was somewhat cumbersome and no funding was in place, either. So, without any income or funding, I sought out to learn a new programming language and development platform, as in times past. 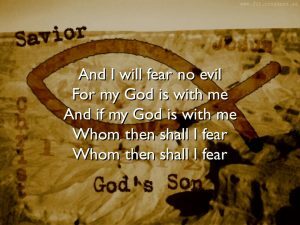 My situation seemed as if I had to choose between developing Play The Bible for love of God and those in need of His saving grace, or only if money would arrive to pay me for it. Because I had years earlier become to believe that God’s calling on my life has been to be a prolific faith-based video game developer, I worked on it for 6 months – and then, family and friends chose to get involved. At first they too were skeptical about this interactive Bible games for youth that have actual Bible verses on it (I expected their instant reaction to be it’s a red flag for the mainstream audience), but approved of my idea later on. 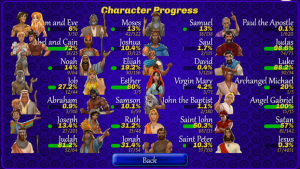 When considering how best to present Bible text in the game, a lot of time and thought went into how the text could be displayed – choosing the right font was crucial, especially in view of the tiles and character spacing. We tried dozens of fonts and spacings before we found the right one. The artwork for the text and throughout the game was consistently being improved. As you can see, the final game screen looks far more interesting and appealing than that of the prototypes above. From the outset, we’ve wanted Play The Bible to be a useful tool for believers to introduce others to the Bible, with a focus on evangelism, so we partnered with CRU® to incorporate The Jesus Film (with more than 1500 languages) and other Jesus Film Media content, directly from the game’s navigation screen. As a result, in-between all levels, gamers have an opportunity to Know God and view Jesus Film Media. We also wanted to give players an opportunity to play and learn where some popular Bible characters were written about in the Bible. This will make the game particularly interesting as it includes interactive Bible games for youth. To introduce them, we created our own originally written biographies of our first 28 characters. To insure accuracy, we literally wrote everything in a spreadsheet first, with a Bible verses reference that was double-checked to support and justify every statement. This scientific approach was used to insure the integrity of God’s word would not change and that the biographies would be based upon scripture without error. It was laborious, but a joy to bring these characters to life – in each biography within the game – originally written material not available in any other game. Of course, once we had developed a character section within the game, we then needed to show players how they were progressing through. Since the time, the game has been in pre-release status. Here are just a few things that people have said. If you are a game player, download Play The Bible Ultimate Verses. If you are a game developer with an interest in making faith-based games with Bible verses in it, be encouraged to keep God’s words in a higher regard than any content that you can create yourself. Consider how you can present God’s word effectively, in context, in a new, fun and engaging way. Feel free to share your ideas for comment at “troy [at] rdgames.us”. The Bible, perhaps, is one of the – if not THE greatest – book of all time. It tells of seemingly obscure stories, yet it’s words have withstood the test time. In this age of modern technology some people find it hard to understand why the Bible still matters. Some set it aside and believe books of the Bible games for kids and other faith-based games are nice, but not to taken seriously. But the Holy Spirit finds new opportunities to nourish souls when people see a dry desert of hopelessness. What is this new Play The Bible Game All About? 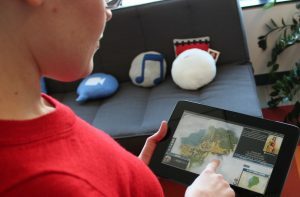 RD Games, the creator and publisher of Play The Bible, concluded from their research that there is a need for believers to preach the Gospel of Jesus Christ in a place where the Word of God exists, but where is it often presented in a manner that frequently omits an opportunity for an app user or gamer to accept Christ as savior and Lord. 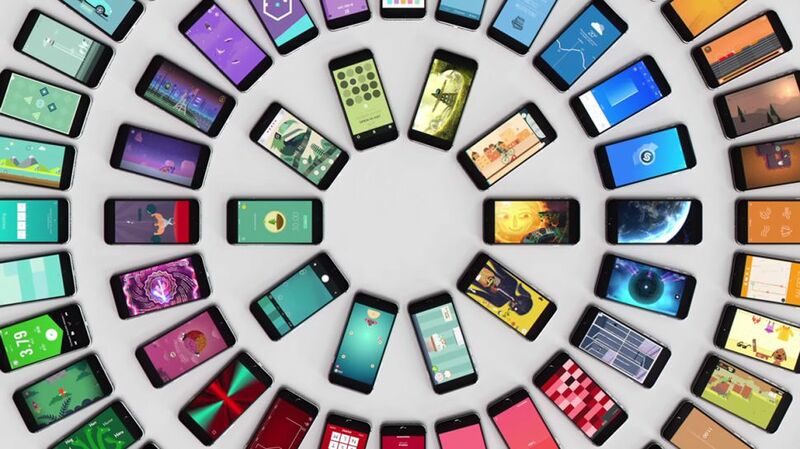 There are other apps, too, for anything and everything from diary planners, to alarm clocks, to social media widgets for mobile users, first person shooting games, strategy games, and even free online word games. 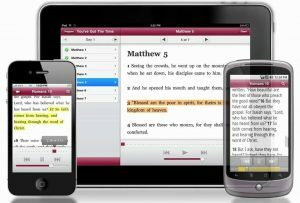 Compared with other Bible apps and faith-based games, Play The Bible is one of the most effective tools for learning Bible verses. For example, in Bible apps, you read a verse and move on. In Bible games, developers do often present scripture – this is great. However, Play The Bible takes it to another level by reading each verse outloud and then by employing great gameplay techniques to cause the gamer to soak-in that verse over the next minute or two. These techniques make Play The Bible one of the most intimate experiences of God’s Word available anywhere, in any medium. 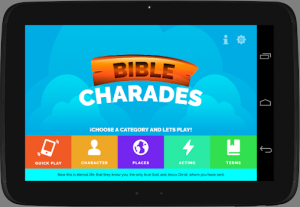 RD Games developed this new game to incorporate books of the Bible games for kids and you can download it now from most app stores for mobile devices. 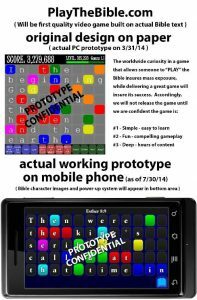 Play The Bible is primarily a uniquely created app in a world of many word puzzle games that incorporates colored tiles. However, it’s tile color matching is unique. 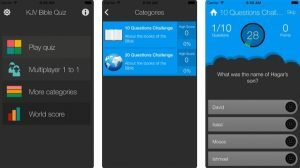 Bonus rounds appear frequently between stages and you are then prompted with a multiple choice question or a fill-in-the-blank quiz. You can earn a higher score, gold bars and spirit points each time you complete a level. How do people feel about a modern device perpetuating an ancient faith? That is not how we see it exactly; in fact, the Bible becomes more and more relevant when the world doesn’t make sense. For instance, recent studies reveal that kids between the ages of 9 – 18 have a very high level of stress and are probably suffering from depression due to social media – which has brought peer pressure into another destructive realm. These stresses upon children coincides with the number of suicide rates per country every year and the numbers are growing! Where can depressed people find help? We believe answers can be found in the scriptures. And books of the Bible games for kids might help. People often just take for granted the power of the scriptures – God’s Holy Word. These words have the power to change people’s lives in a very positive way. We hope to offer peace of mind and hope in the Word of God besides currently available free online word games that other game developers regularly advertise to you check out. Perhaps we can even use online platforms to get people back into the real world, face the challenges in their lives and live above them through the empowerment of God’s grace through Jesus Christ, our Savior. When we first thought of the idea of having kids and adults play a game where the scriptures will be shown on the screen all the time, ridiculous. However, we developed it further with lots of input coming in from friends and family it got better and better. Going back to our faith we realized that there was no reason to be ashamed of Jesus and his gospel and that our mission was to share the gospel and not just make money like any normal digital company does. So we were convinced that we’re on the right track and God will guide us through if we just have faith in him. The result is an amazing books of the Bible games for kids that we call Play The Bible. The beta testers of Play The Bible gave very positive reviews and only a few of them talked about the scripture verses in it. Normally, people will only say nice things about your product to avoid offending you, and even those who give honest but negative reviews are not out for blood – they’ll just tell you that your game is not that good. However, that’s not what the reception of the Play The Bible received. Most people gave very honest reviews about how they felt when they tried to play for the first time. They were often more interested in learn about the overall features of the game without for the verses the Bible confronts them with. Play The Bible turns the scriptures into an in-your-face message that will help people both consciously and unconsciously discover salvation. On the surface, Play The Bible is another of many quality word puzzle games, but underneath it all, it is a tool for saving souls. 2. It helps spread the good news of salvation in Jesus Christ to most of the world. 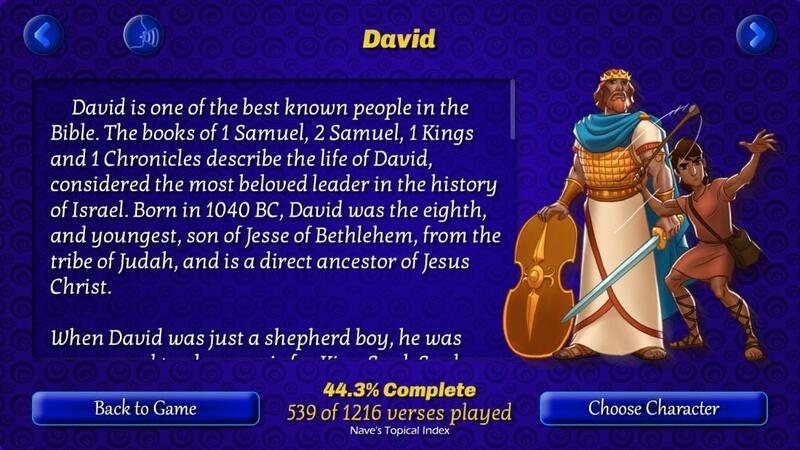 If you haven’t played yet, be sure to visit https://www.playthebible.com/games/play-the-bible-ultimate-verses/ and download it for yourself from the app stores. 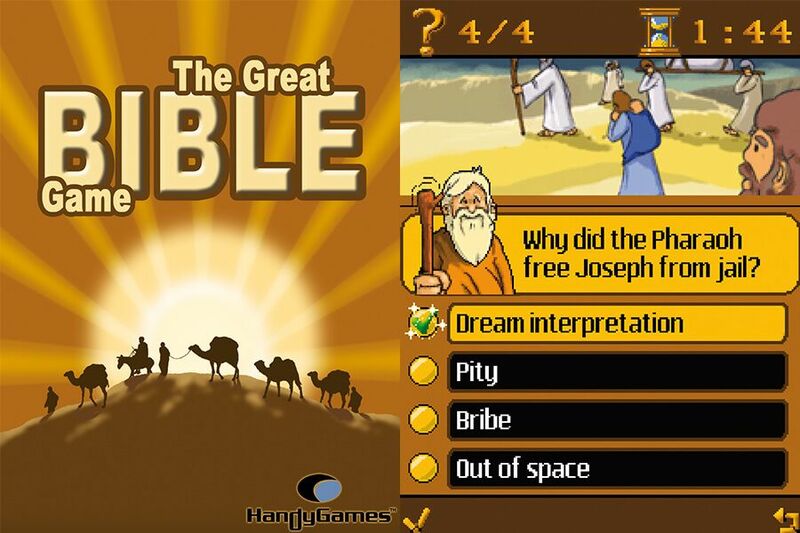 Then, enjoy as it tests your knowledge, considered one of the best books of the Bible games for kids. Play and see how well you know the Bible today! 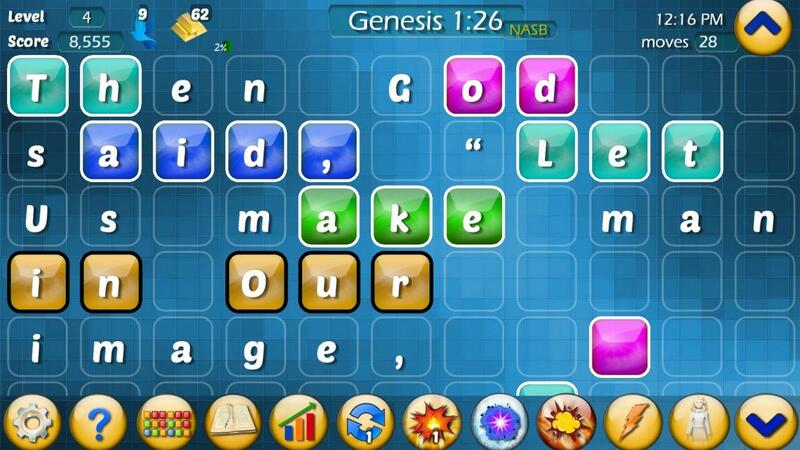 Bible Games Have Great Words! Great Characters! Great Fun! But people of nearly all faiths agree on one thing – JESUS lived a remarkable life. He lived what he taught, that we should 1) love God with all our heart, and 2) we should love our neighbor as ourselves. Jesus didn’t teach that we can choose to ignore God because we don’t care. And he didn’t say we can choose not to love someone because of how they act or how they live. He set a golden standard that can provide the world peace, if we could bring ourselves to live by his example. 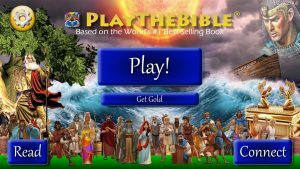 Play The Bible was designed to introduce a new generation to the text of the Bible, and do so in a format that can more aptly compete with today’s entertainment-focused world just like other Bible games that was created before it. 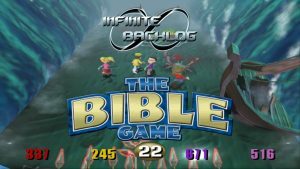 At RD Games, we sincerely hope that everyone who gets Play The Bible will have a great time and be blessed with its enduring message which has stood the test of time. 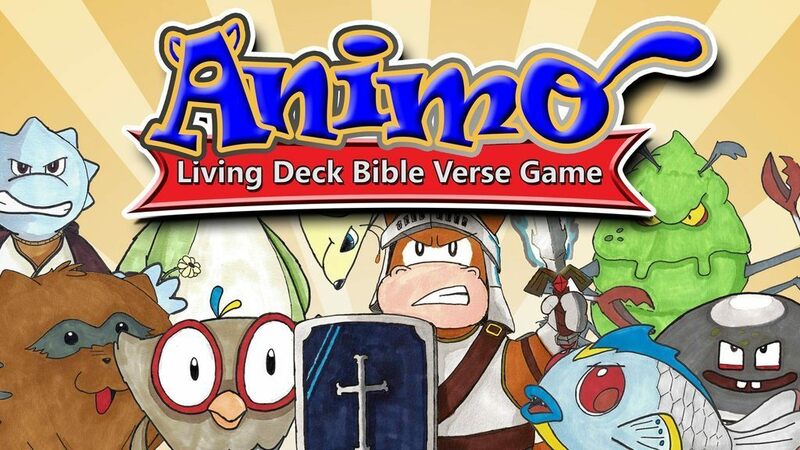 The objective of this game is to help kids and adults alike to enjoy interactive, biblically-themed entertainment intended on mobile devices while learning many important things about the Bible and God’s word. Play The Bible has a wide array of elements that are just as enjoyable as other Android or iOS mobile games that billions of people love to play. The game includes tile color to word matching (a new concept), multiple choice questions, character biographies of some of the most popular Bible characters, wisdom breaks and more! 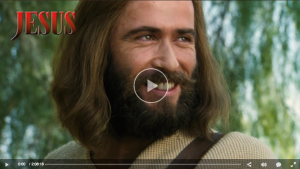 The game also includes links to well-known films for people to discover more about Jesus and the Bible, its important characters, history and the Gospel! 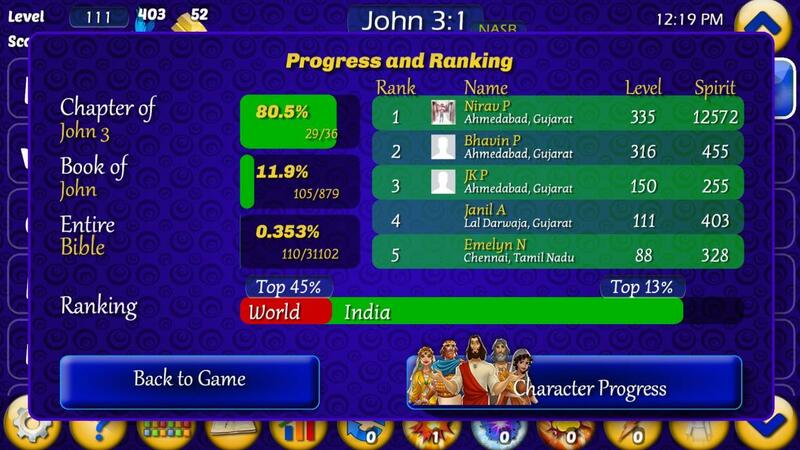 Indeed Bible games are no second-rate knock offs of the best mobile gaming apps today. 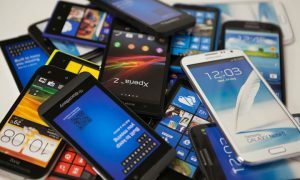 The Christian mobile app developers at RD Games feel that the changing landscape of our modern society’s technological infrastructure has left cyberspace lacking in enough of God-focused content – especially in the area of apps for mobile devices. 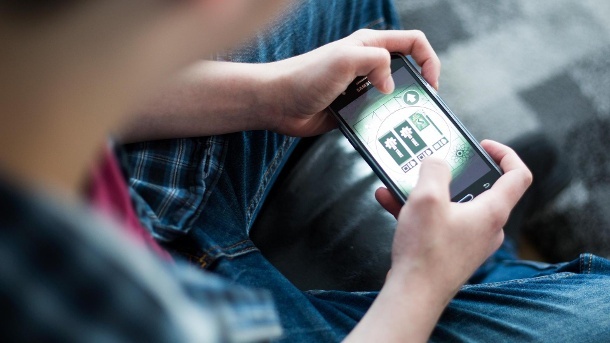 While there are Bible apps, Bible games and other Christian-related apps available, there are only a handful of game apps that attract the majority of mobile web users. Of these, some are Bible-based games – but most do not live up to the quality of more secular creations. As a result, it has been difficult to retain a user’s attention long enough to adequately share the good news of Jesus Christ. Play The Bible hopes to change that paradigm and expose this new generation of mobile app users – and the majority are not big on the traditional concepts of evangelism – to God’s word, the Bible. To put it plainly, most people don’t associate learning God’s Word and reading it with fun. In the past, rival religions, cults, atheism, the night life, money and other vanities would compete with or get in the way of missionaries and ministers to spread God’s word. Today’s modern environment is as if all such things have been placed in a huge box, teleported into tech space and then kept under digital lock & key. The gap of reaching out to the masses in order to share the Gospel has completely been reversed thanks to the tech space of mobile web, and slowly, people are losing touch with the voice of God as they focus in on their mobile devices to vanity – and there is no end in sight. Now, missionaries and pastors can go anywhere on the planet, but they’d be walking through a dense forest filled with wild beasts if they try to share God’s word from a mobile app store. Let’s be honest, how many people will download an app that’s just going read text in today’s mobile, entertainment-focused world? Sure, there will be some. However, if we are to grab the attention of most kids and other people who are acquainted with the internet and mobile apps, we must compete based upon rules defined by these new platforms. And Play The Bible is at least one answer to that conundrum. 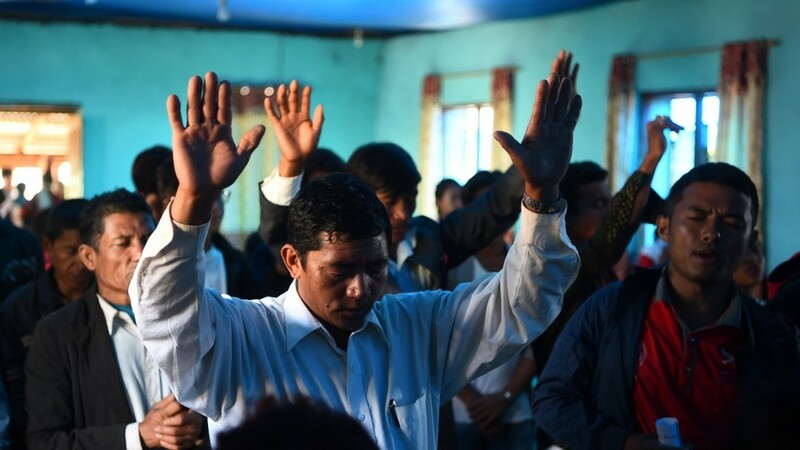 In the 1990s Christian Missionary Strategist and Partners International CEO, Luis Bush, coined the term “10/40 Window” which is a part of the world where the Gospel of Jesus Christ had been preached the least. This area is located between 10 and 40 degrees north of the equator, which includes the eastern hemisphere, plus the European and African part of the western hemisphere. Today, Christian missionaries have successfully infiltrated even the remotest regions of the world, as well as those countries with extremely strict Islamic laws (i.e. Saudi Arabia and others). Today, many more people have heard the Gospel and have been given a Bible – and many, more than once, too! 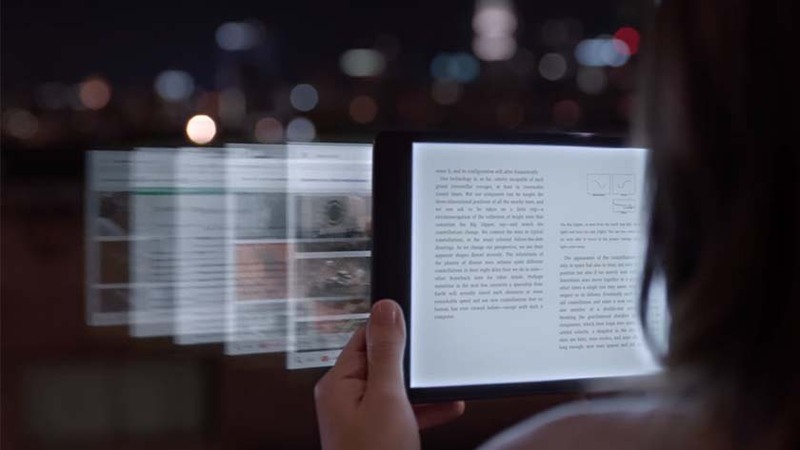 However, the last frontier where the Bible needs to be shared is barely on the map – its in cyberspace and in handheld devices called smartphones and tablets – actually, mobile devices. Play The Bible is a great new tool to be used for spreading the Gospel to billions of people worldwide! It is not only educational, but it’s also fun to play. And in this medium, many will not be shy in sharing the Gospel in this manner, because it appeals to most kids and adults just as much as other Bible games out there. We here at RD Games are confident that Play The Bible will be an evangelism game changer, not only because it is innovative, but because it will encourage many others to consider how games and entertainment can lead people into an enjoyable and deeper relationship with God and His Word. 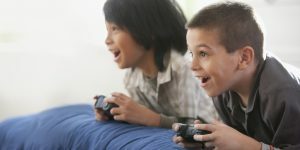 While hundreds of studies have addressed the effect of violent, disturbing video games on children, youth and adults, there are many games that engage the mind in a more positive way. In addition to being fun, recent research shows that some of console, mobile and PC video games may even have mental health benefits. Christian mobile game apps definitely is one of these types of video games with benefits. Check out updated research on the advantages of this popular form of entertainment. 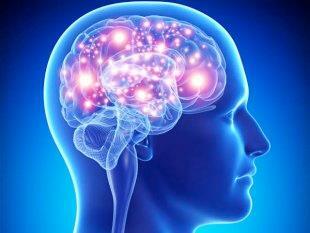 A study conducted at East Carolina University in Greenville, NC, found that some games—especially those requiring strategy—seem to stimulate the parasympathetic nervous system—which reduces the body’s response to tension and stress. 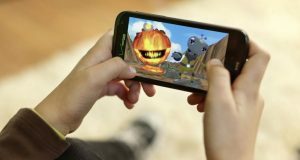 In an Iowa State University study addressing the effect of video game usage on teens, psychologist Douglas Gentile, PhD, and William Stone, BS, found that while violent games lead to increased hostility, pro-social game players were more helpful to peers and less likely to fight at school. Scholars and physicians at the University of Washington’s Virtual Reality Analgesia Research Center are tapping into the ability of video games and cyber technology to distract children during painful burn rehab. Steven Johnson, an author interested in the effects of popular culture on intelligence, found many indications that video games, TV and technology are making people smarter. “All the major simulation games—where you’re simultaneously tracking dozens and dozens of shifting variables, trying to manage an entire system—are a great cognitive workout,” said Johnson. Fascinatingly, this research does not just apply to children and teens. Gaming skills can translate into real-world, adult skills, as James Rosser—director of the Advanced Medical Technology institute at Beth Israel Medical Center in NYC—found in his study of laparoscopic surgeons. According to Rosser’s research, laparoscopic surgeons who played games for 3+ hours/week made 37-percent fewer surgical errors than non-gaming surgeons. Rosser attributes this to the positive influence of video games on hand-eye coordination, patience and depth perception. And while this exciting information helps to balance the negatives we hear about video and computer games, it’s important to remember that moderation is key. We should not allow video games—even Christian mobile game apps —to rule over us or our children. In 1 Corinthians 6:12, Paul writes, “Everything is permissible for me, but not everything is beneficial. Everything is permissible for me, but I will not be mastered by anything.” Whether you approach parenting from a Christian or secular point of view, Paul’s words ring true. 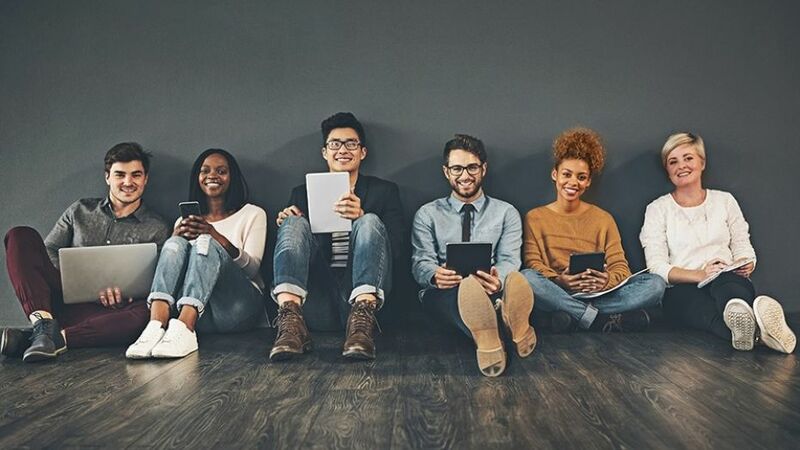 Check back often to learn more about the common symptoms of media obsession among youth—and what you can do to counteract this trend. Looking for positive gaming opportunities for your children and teens? Visit Play The Bible for a game with educational, strategic and Bible-based content. 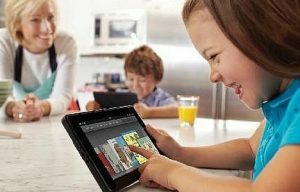 RD Games offers innovative, beneficial media for a variety of ages, and is committed to helping you educate, protect and instill values in your children through our Christian mobile game apps. For many children, too many after-school and weekend hours are spent watching TV or playing video and PC games—especially when parents aren’t home to control media consumption. 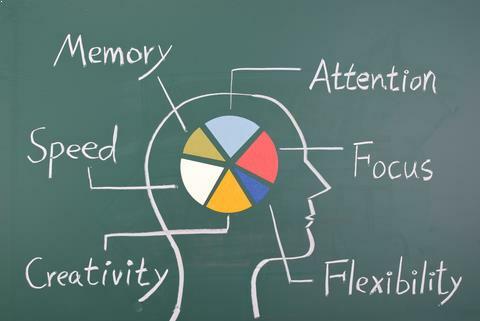 In our other articles in this Games with Values and Verses segment, we discussed the mental benefits of games like Play The Bible—things like reduced tension, distraction from pain, improved patience and advanced hand-eye coordination. 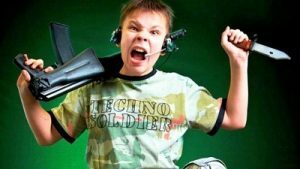 And while it’s important to understand the positive qualities of today’s media options, it’s also critical for parents to (1) control PC game use by children/teens, and (2) educate themselves about the dangers of video game addiction. How can you protect your family against this toxic, worldly problem? First, recognize the danger. Like a drug problem, video game addiction is pervasive—seeping into every area of your family’s life. Next, make sure you’re monitoring your kids’ gaming choices and restricting game time—even when kids are playing healthy games like Play The Bible. Remind kids that God time, family time, homework and relationships come first—and model that for your children on a daily basis. 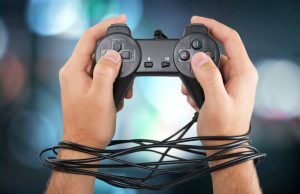 For more practical tips about preventing—and managing—video game addiction, look into our other articles in this segment. In the meantime, visit Play The Bible often to find new games that are family-friendly, Biblically focused entertainment you can feel good about. 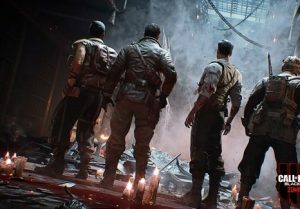 Activision Publishing and its acclaimed video game developers are continually celebrating record-breaking releases of various versions of Call of Duty—the latest is Block Ops. The franchise has earned well over a billion dollars in the past decade. 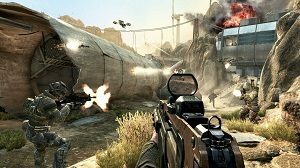 According to the Christian Science Monitor, speaking of an earlier release, Call of Duty will likely be “the most successful video game of the year—at least among devoted gamers.” But despite the franchise’s profitability, a growing contingency of critics are continuously attacking it for its realistic depiction of violence. 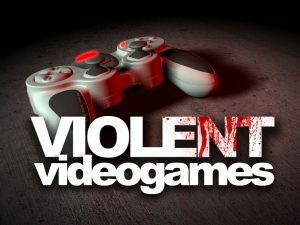 And while many people view this type of ultra-violent game as nothing more than fantasy stress-relief, other families are gravely concerned about underage exposure to console and PC video game violence. 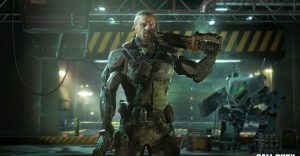 So, as Christians, how concerned should we be about games like Call of Duty: Block Ops? Games like these contain so much bloody atrocity that some have asked, should manufacturers create ways for viewers to skip the so-called “disturbing” scenes? Concerned enough, perhaps, to monitor the games our children and teens are playing a bit more closely? Concerned enough to model healthy media choices—and talk with our kids about alternatives to violent entertainment? As Christian parents, we know that God created us to guide our children—and help them make sound decisions until they’re old enough to make their own. Decisions that help them fulfill Paul’s call (Phil. 4:8) to think about things that are true, noble, right, pure, lovely and admirable. So this year and especially at Christmas time, let’s rethink—and maybe even forgo—video games that capitalize on senseless violence. 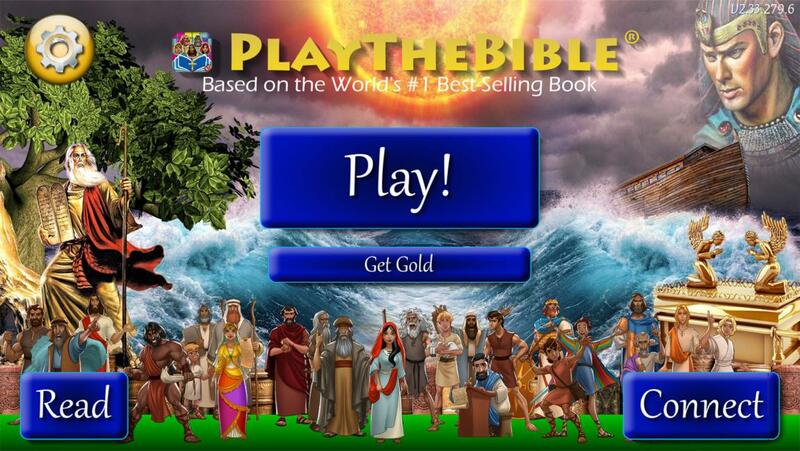 Visit Play The Bible for safe, biblically sound games for everyone in your family. RD Games is a leading developer of quality, Christian video games. We are prayerfully hoping to see an increase in the number of players who will come to understand the value of video games designed around something other than violence, gore and cruelty. It’s natural. As parents, we enjoy giving gifts to our children—just as God enjoys giving His best to us. 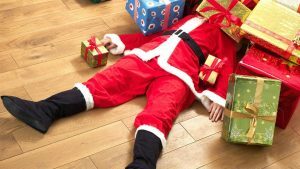 However, it’s easy to fall prey to the materialism monster—especially during the holidays. Commercialism is out in force, tempting us to purchase “true happiness” at the local discount store. And while there’s nothing wrong with sharing Christmas gifts with our kids, it’s important to remember that the gift we’re really celebrating is far more valuable than anything we could ever afford. 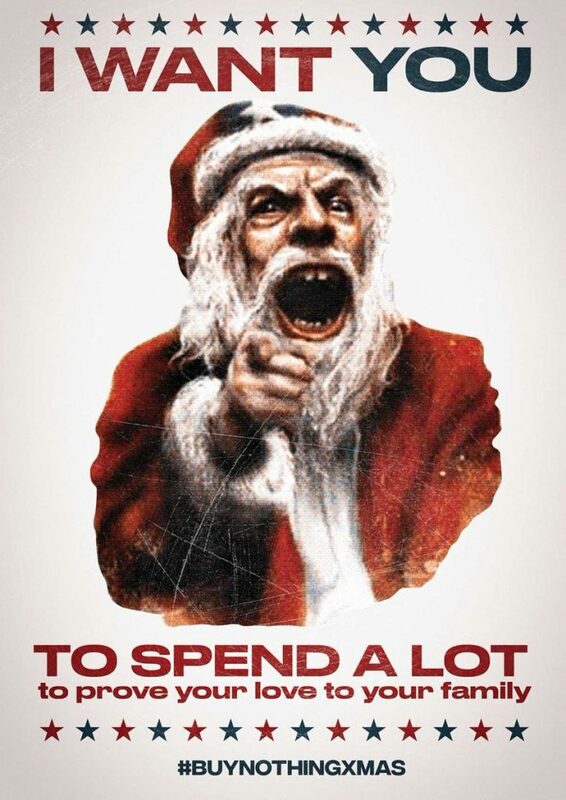 This year, try really celebrating Christmas with your family. Rather than making the holidays a season of stressful buying and frantic preparation, embrace Advent in a new way with these creative ideas. Adopt a family in need. Jesus spent his life on earth ministering to the physically and spiritually needy, and before he returned to heaven, he called us to do the same. As your family purchases clothing, food and toys for a family living on the margins, you’ll discover why giving to “the least of these” allows you to live more abundantly, as well. Create a candy cane tree. Purchase a supply of candy canes and a large Styrofoam block from your local craft store. Each time your children engage in acts of kindness toward friends or family, have them place candy canes in the foam block. Make it your goal to create an overflowing “candy cane tree” by the time Christmas arrives. Make homemade Christmas decorations. Rather than spending money on holiday decor, make it a family tradition to craft decorations from scratch. As you add to your homespun Christmas collection each year, remember to give homemade items a place of honor in your family room, living room or kitchen. Bake cookies for a nursing home. Many nursing home residents don’t have regular visitors, so they’ll be delighted to see your family drop off cookies and fudge—and stay to chat with them for a while. Spend Christmas Eve making a birthday cake for Jesus. Encouraging children to help bake, frost and decorate a birthday cake is a great way to wrap up the Advent season. As you share the dessert, remind children that the gifts exchanged on Christmas morning symbolize the most precious gift of all—God’s son. This year, the RD Games/Play The Bible family would like to wish you a joyful Christmas filled with meaningful traditions, and a New Year filled with blessings. May you experience love, happiness—and the true joy of Jesus’ birth. Millions of Americans make New Year’s Resolutions each year, anxious to attack the new era with a fresh start. 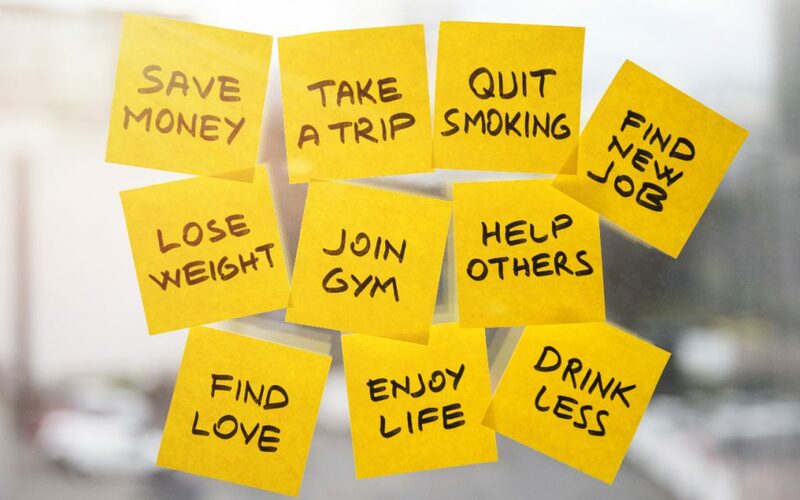 According to Franklin Covey Co., which releases an annual survey of popular resolutions, the top three were: (1) get out of debt or save money, (2) lose weight, and (3) develop a healthy habit (e.g., exercise or healthy eating). And while the Bible certainly does not speak against making New Year’s Resolutions —and our physical and financial health is undeniably important to God—He may have other desires for our lives and hearts in the coming year.“For I know the plans I have for you,” declares the Lord, “plans to prosper you and not to harm you, plans to give you a hope and a future” (Jer. 29:11). What wise words as we set our goals for the New Year. You see, God already has a plan. And as we work on our relationship with Him each day, He’ll reveal those plans to us. So perhaps our number one resolution this year should be to focus on that relationship. It’s not an easy thing to do, especially in the midst of balancing work, family commitments, finances and life’s inevitable difficulties. But the Word is clear—if we focus on God, everything else tends to fall in place. Even weight loss plans, finances and healthy exercise habits. Resolve, first, to read your Bible every day. The Bible is God’s way of directly communicating his love for you. Paul tells us in Thess. 2:13, “When you received from us the word of God’s message, you accepted it not as the word of men, but for what it really is, the word of God, which also performs its work in you who believe.” God can speak volumes to us through scripture, if only we’ll take the time to listen. Resolve to love others more. I John 4:7-8 tells us that love is “from God,” and that “whoever loves has been born of God and knows God.” So, as we work daily to deepen our relationship with the Lord, we’ll begin to love our family, friends, neighbors and enemies in a renewed way, as well. What a wonderful way to share the joy of Christ with those who need to hear it! According to Franklin Covey Co’s survey, only 23 percent of Americans adhere to their New Year’s Resolutions, and 35 percent have broken them by the end of January. 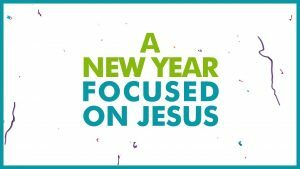 That’s why it’s important to remember that, while there’s nothing wrong with setting goals for a fresh start during the New Year, Christ graciously offers daily fresh starts for those who follow him! RD Games/Play The Bible wishes you a new year filled with the love of Christ. New Year’s blessings to you and your loved ones. I remember reading as a fascinating article in the Christian Post. 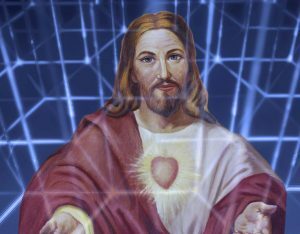 The article, written years ago by Maria Mackay, was entitled Christians Must Engage Real and Virtual Worlds, Say New Media Enthusiasts still rings true today. In the article, Mackay covered London’s 2009 Evangelical Alliance Digimission conference, where panel participants discussed the importance of Christians utilizing the “new media” to evangelize and connect with others. Doesn’t this bring up an important point? 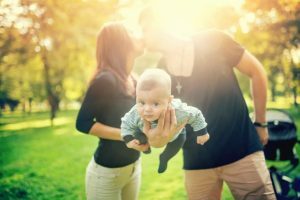 As Christian parents and grandparents, our tendency is to shy away from much of our typically-secular media, including the Internet. But perhaps instead of avoiding the new media, Christ-followers should focus on transforming the new media. As we’ve discussed in other posts, we can do this—and help our children do this—by learning to (1) discern right from wrong in the media we’re bombarded with, (2) filter out the bad and choose to take in only the good, and (3) take an active part in promoting, advertising and discussing positive, Christian media with our friends, family and co-workers. That’s where social media comes in. What some use for evil, Christians can—and should—use for good. Instead of dwelling on the evil found online, maybe Christians should start to embrace the PR opportunity that social media provides. Do you Tweet? Tweet about the latest Christian movie or game. Are you a blogger? Blog about deep, spiritual issues that engage audiences in quality conversations. Encourage your church and other Christian organizations to design a Facebook page expressing who they are and what they’re doing. And remember, as your children and grandchildren surf the web each day, encourage them to become part of these online Christian communities, as well. Hoping to find quality, positive media products for your family? Visit Play The Bible for Christian video games and other faith-based resources. Serving adults and children of all ages, it’s our goal to provide audiences with wholesome family entertainment—while spreading the Gospel of Jesus Christ.